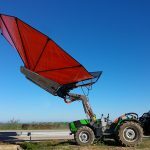 Agroequipos S.P.A. has become the new distributor of Agromelca’s olive, almond and nut harvesting equipment in Chile. Agromelca, S.L. has reached a new agreement with Agroequipos S.P.A. for the distribution of our almond, olive, walnut and other nut harvesters. 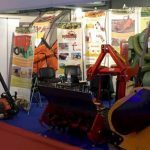 Agroequipos consequently becomes Agromelca’s distributor for Chile.